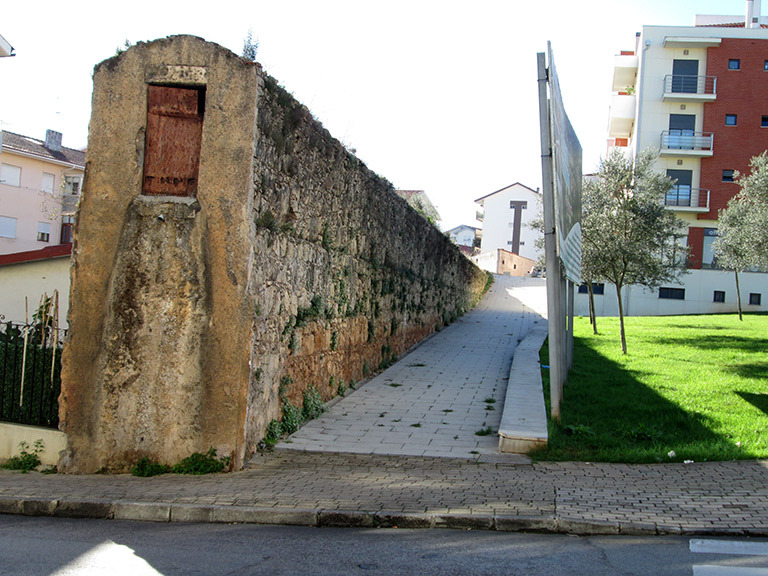 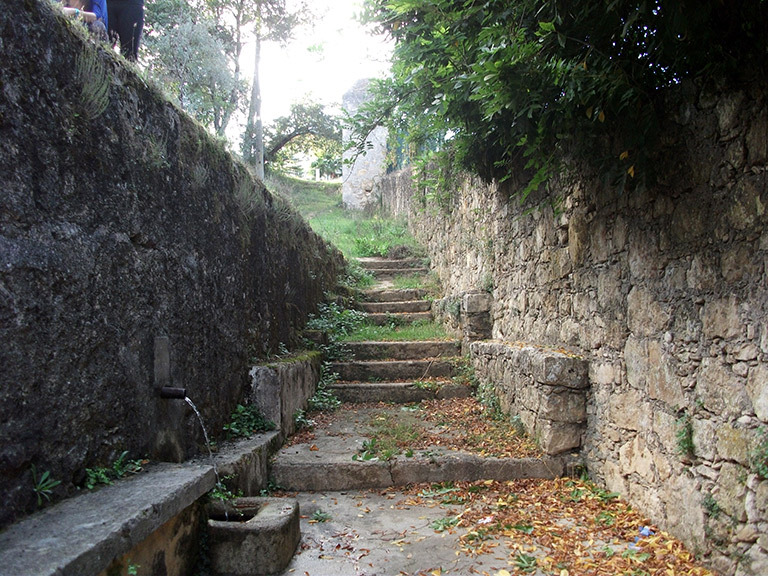 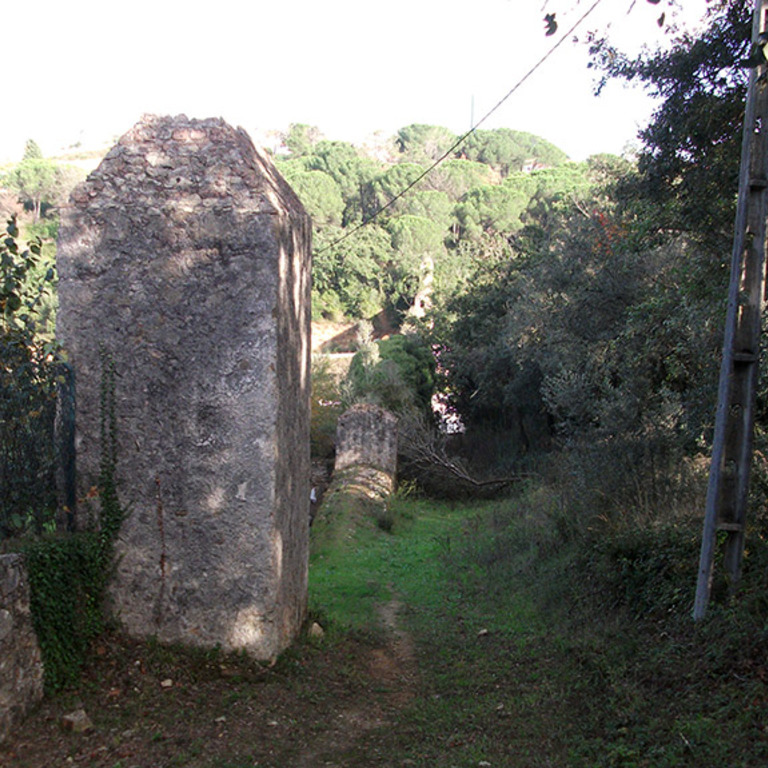 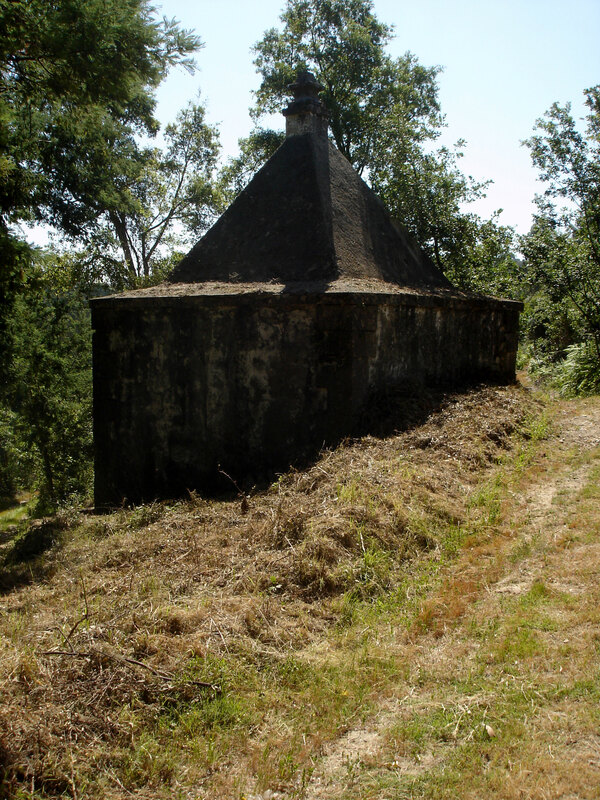 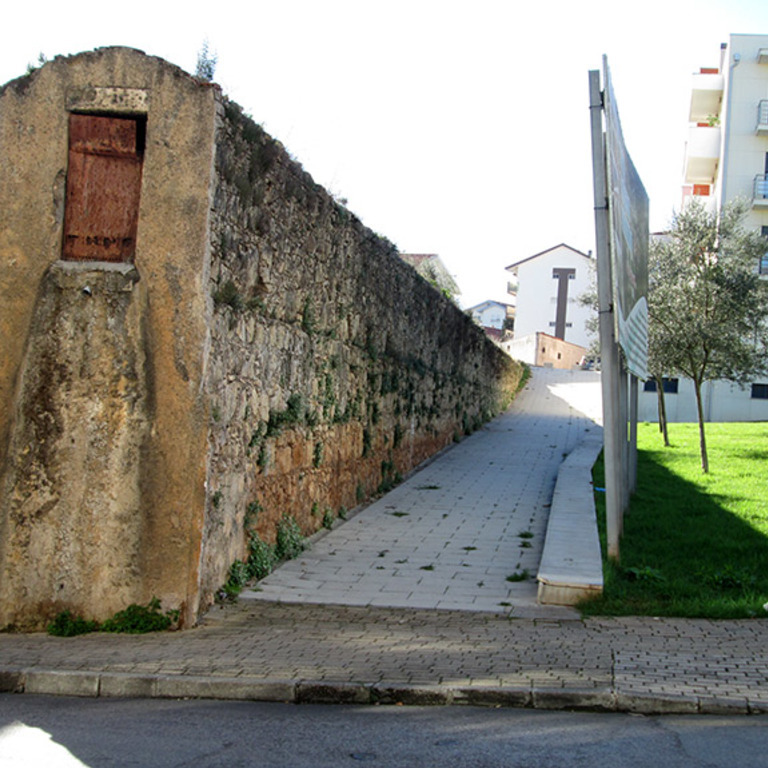 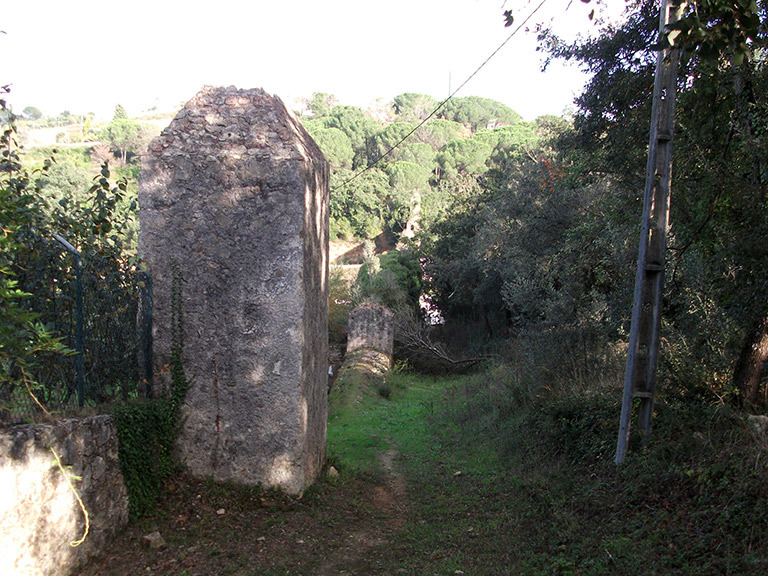 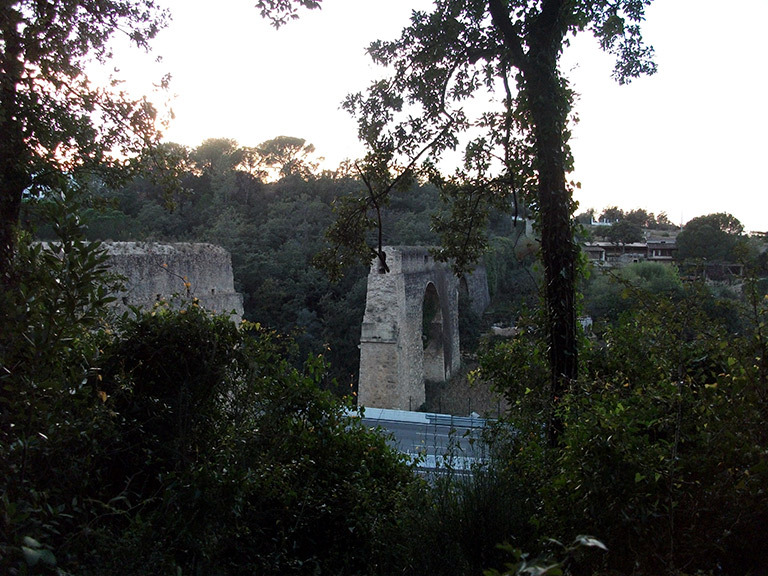 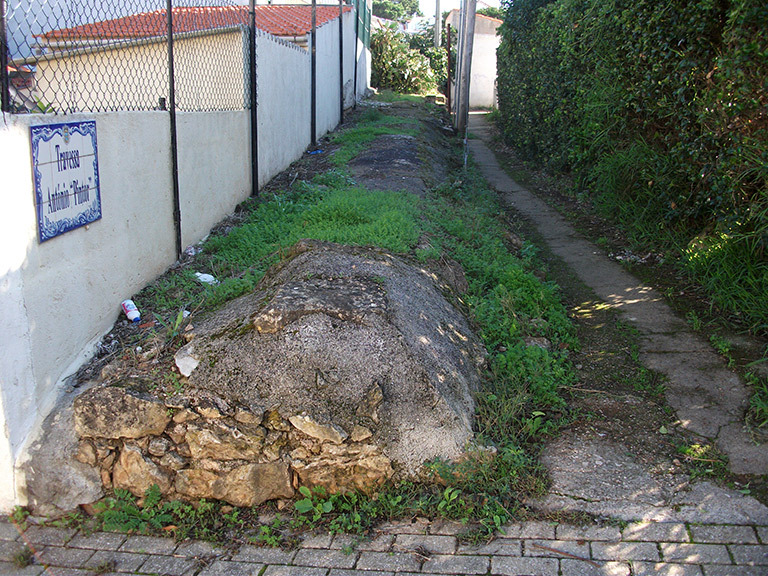 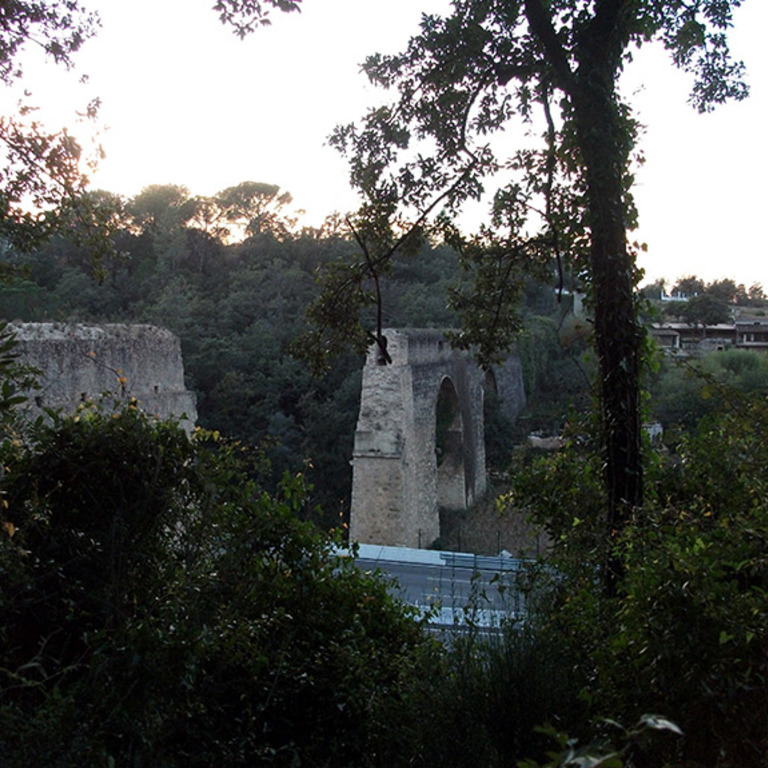 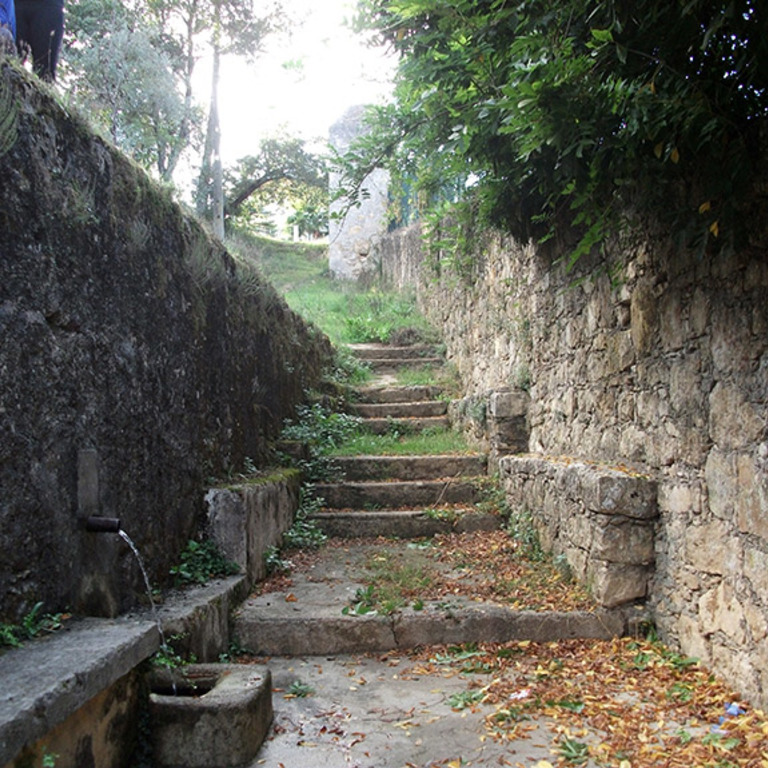 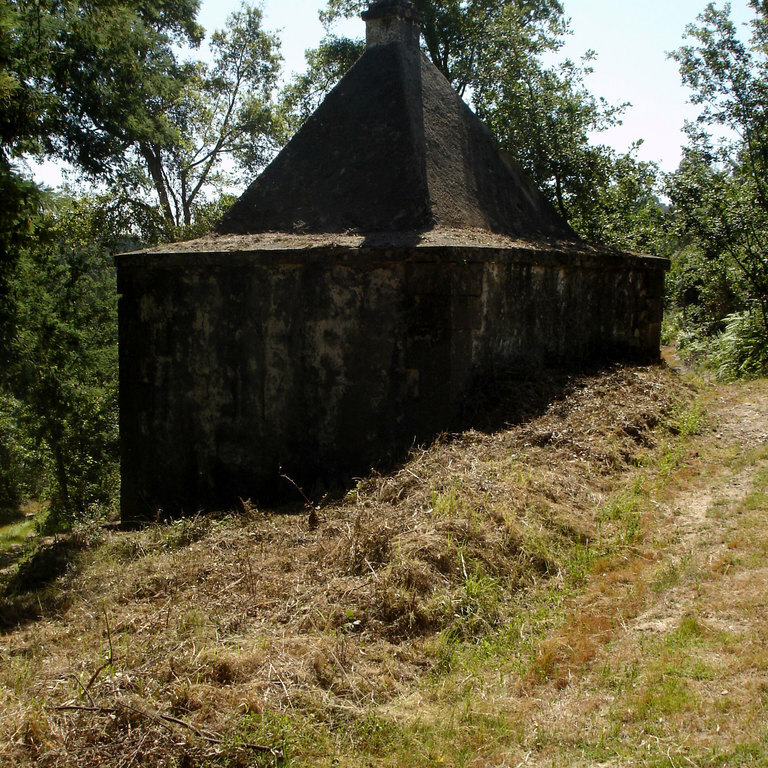 At the end of the 18th century, the Monastery of Santa Clara-a-Nova decided to undertake work on a new aqueduct because of water supply failure in the original aqueduct. 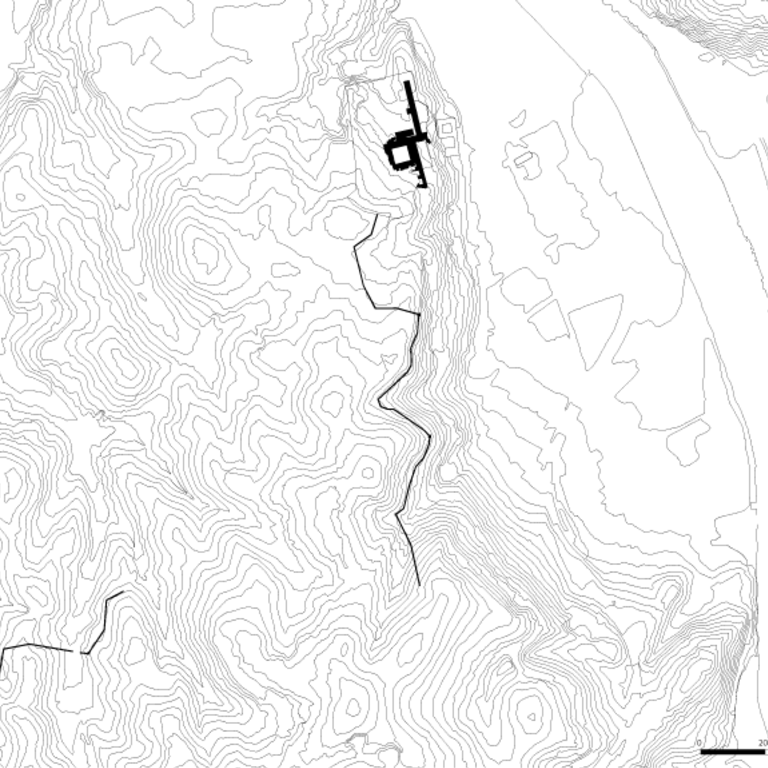 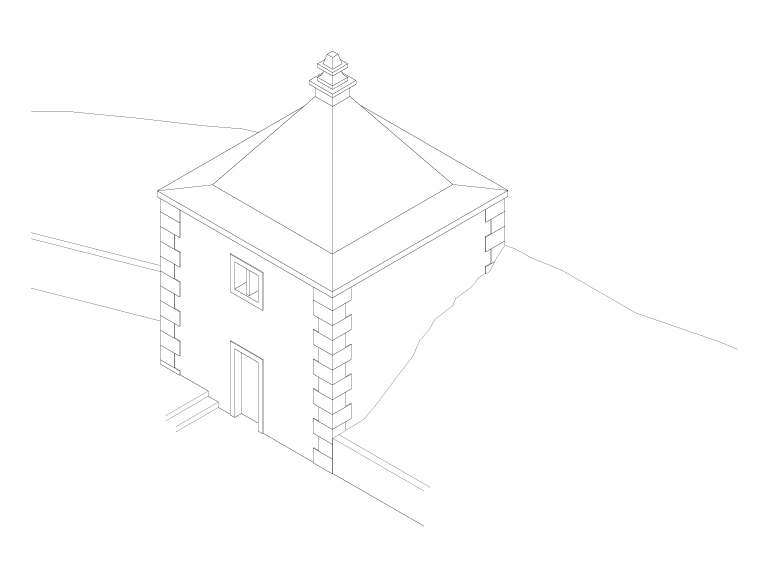 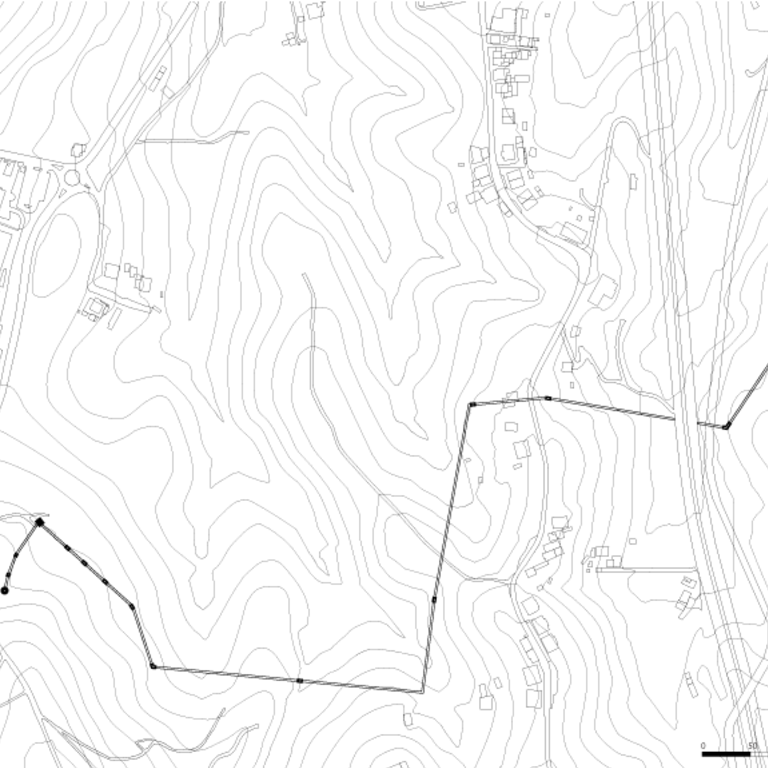 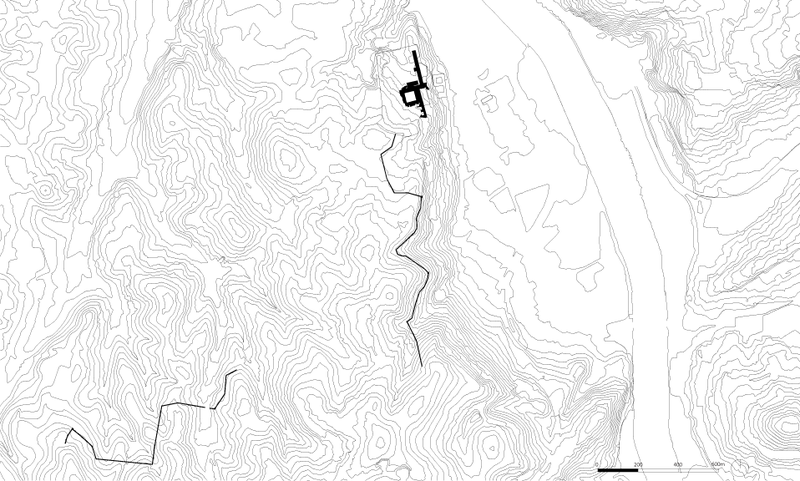 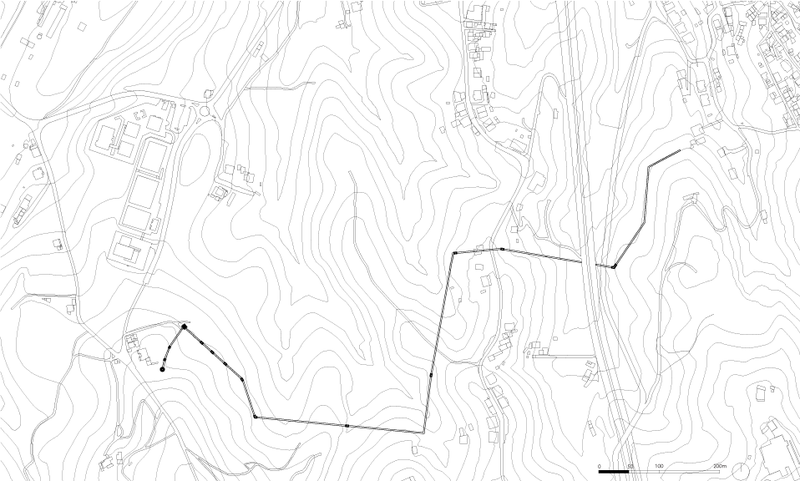 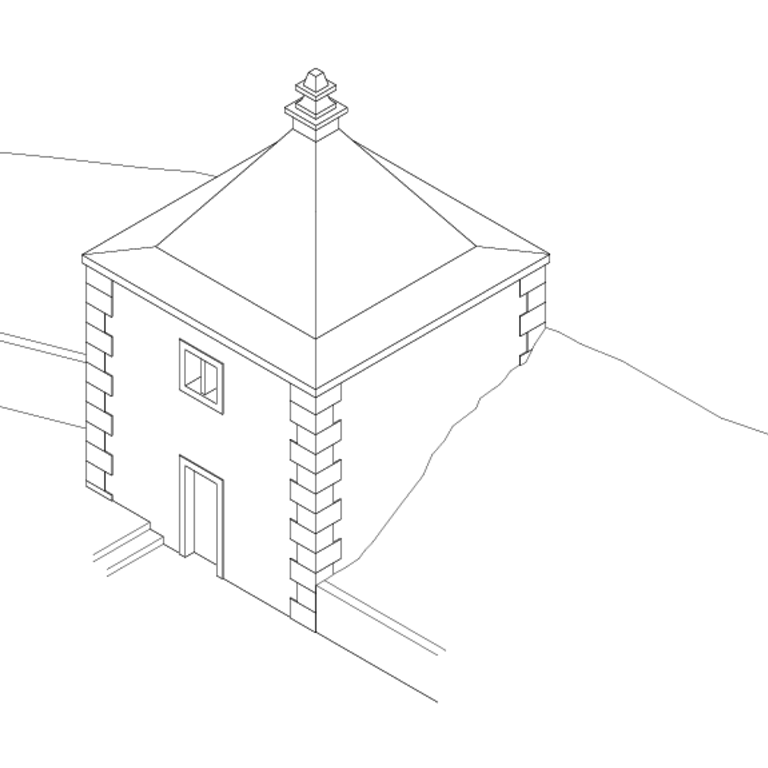 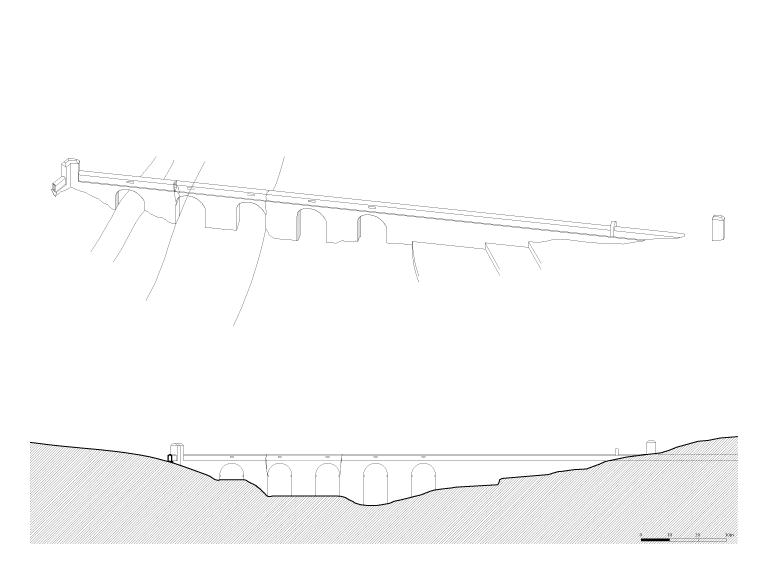 The new structure was drawn to capture the water from a source located in Cruz dos Morouços. 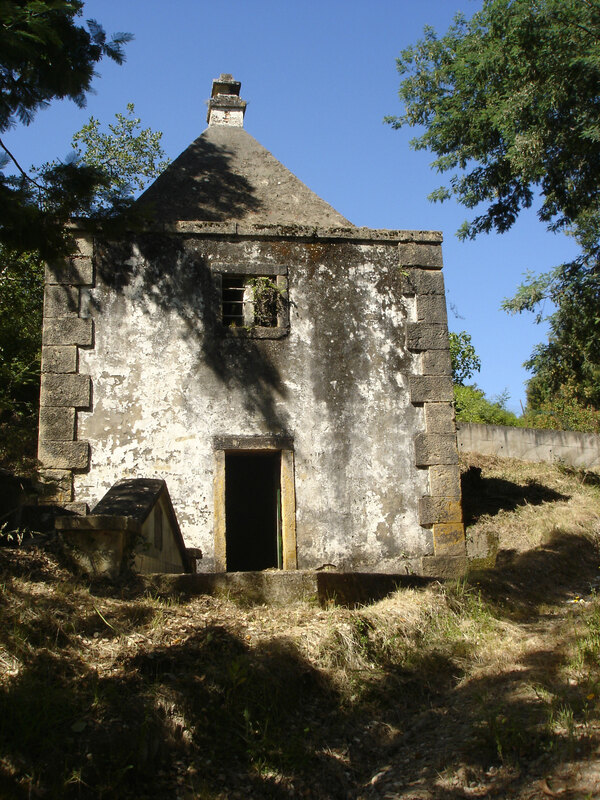 Master Manuel Alves Macomboa, architect of the University since 1782, was responsible for the works. 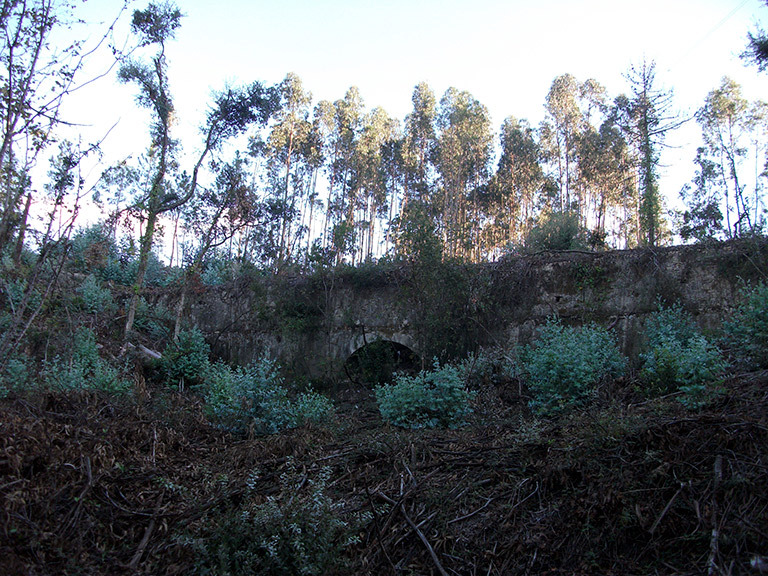 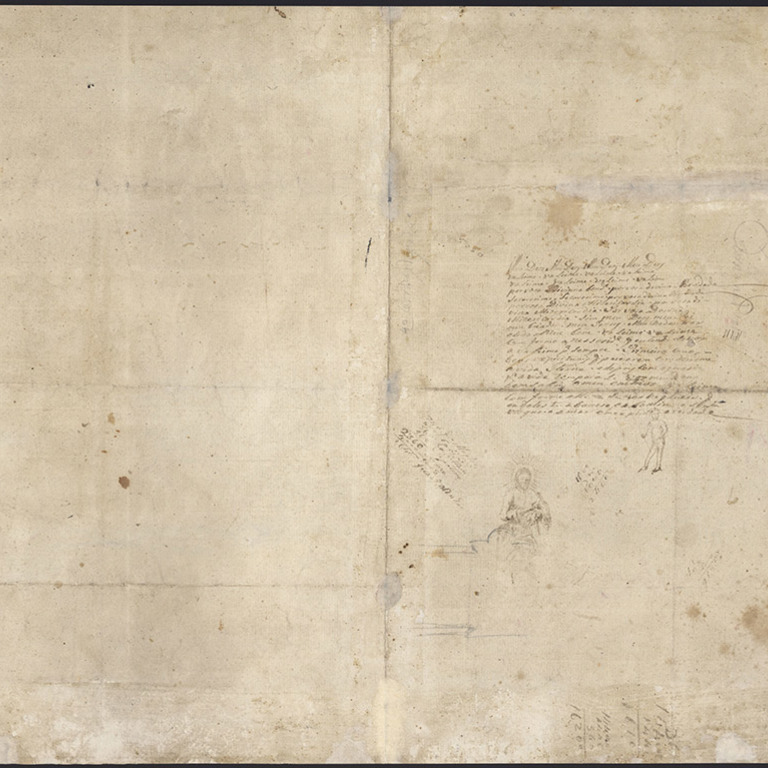 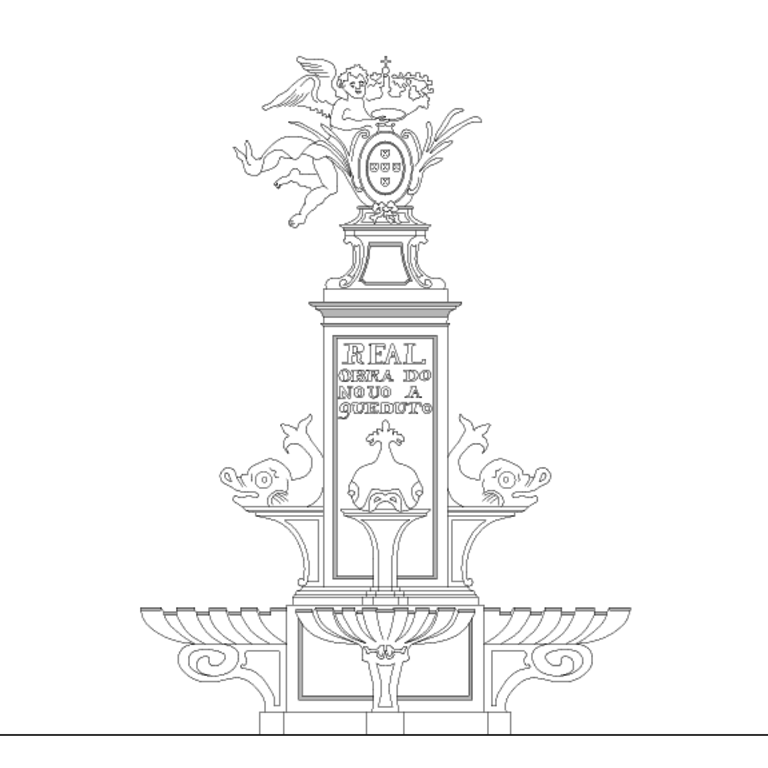 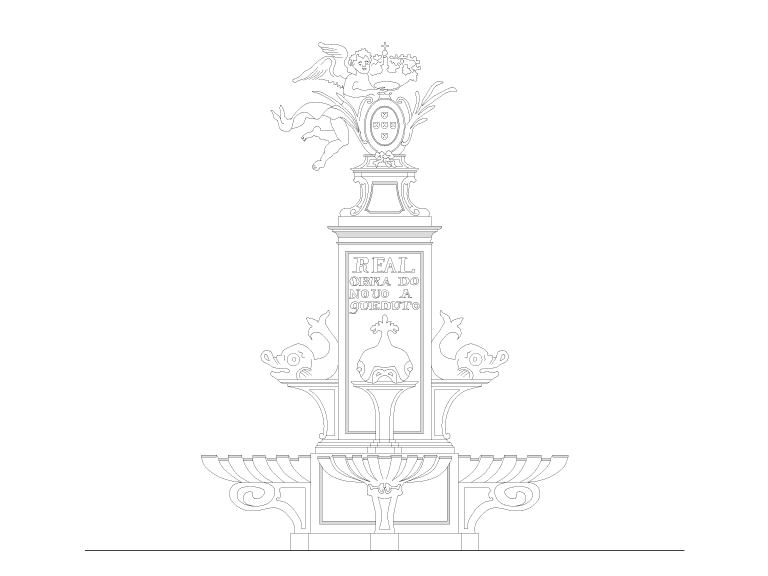 According to Maria de Lurdes Craveiro, already in 1783 works were being prepared. 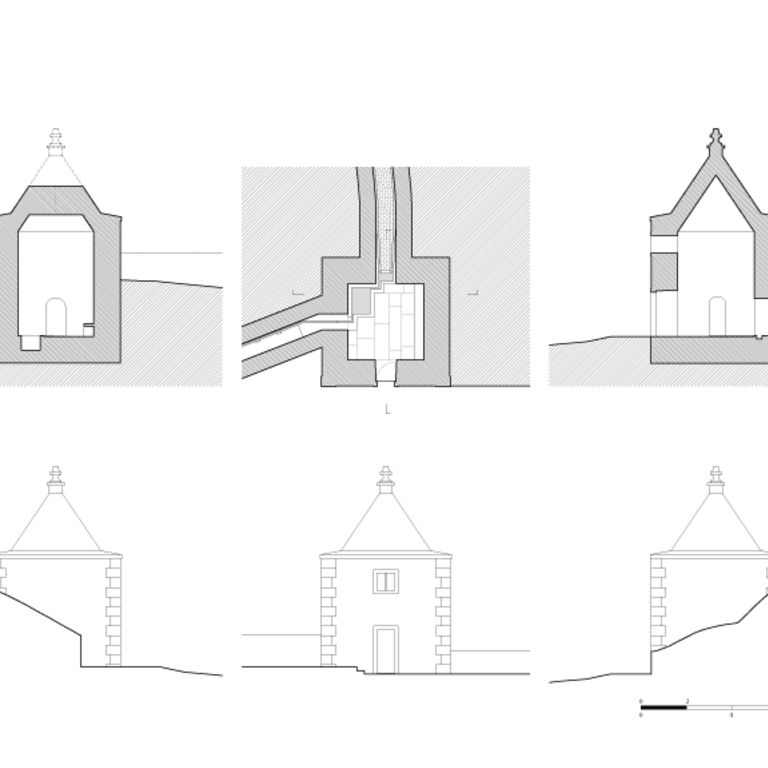 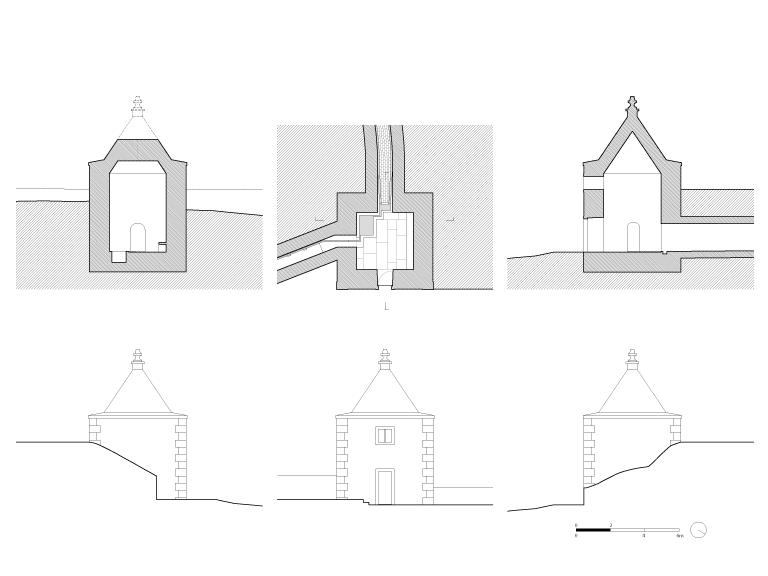 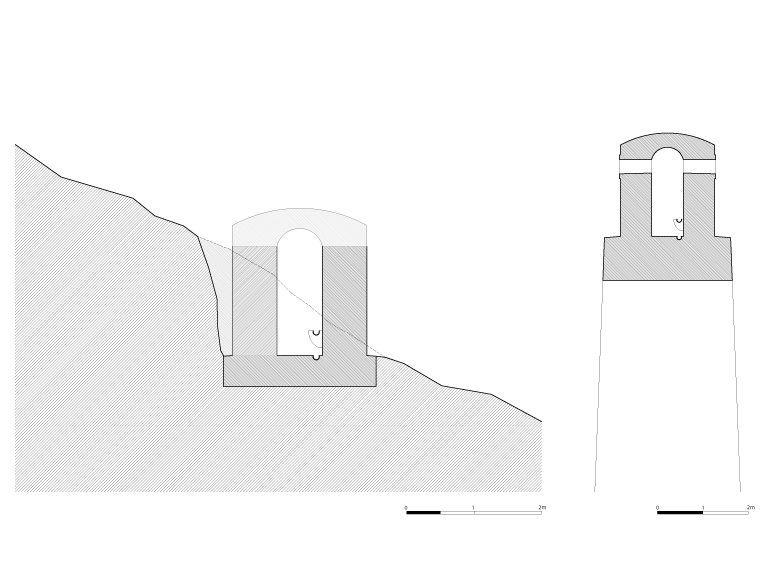 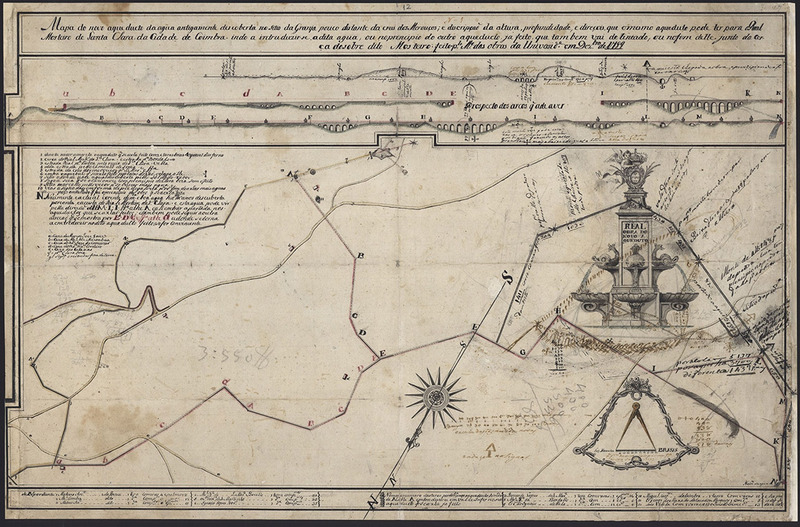 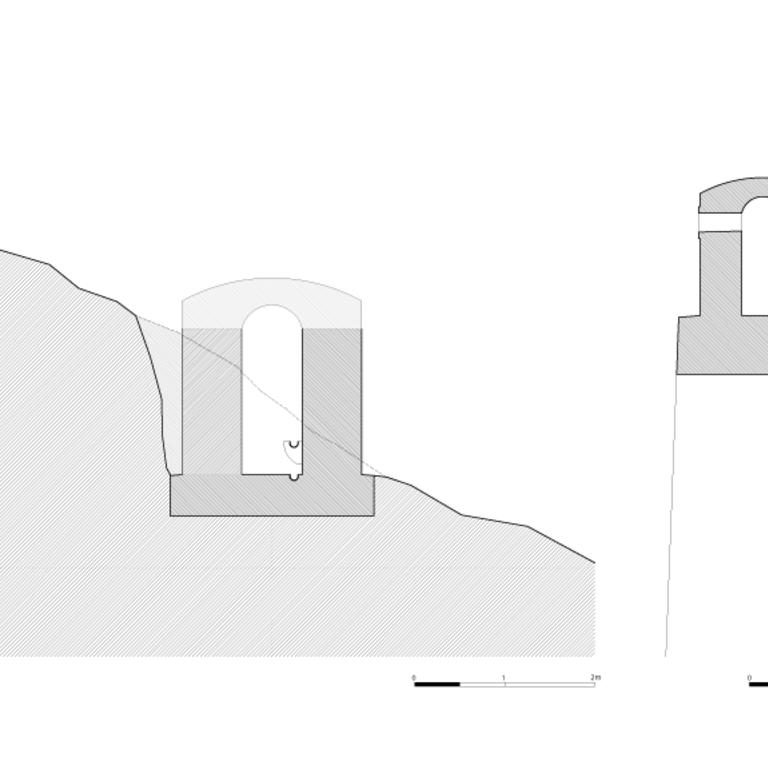 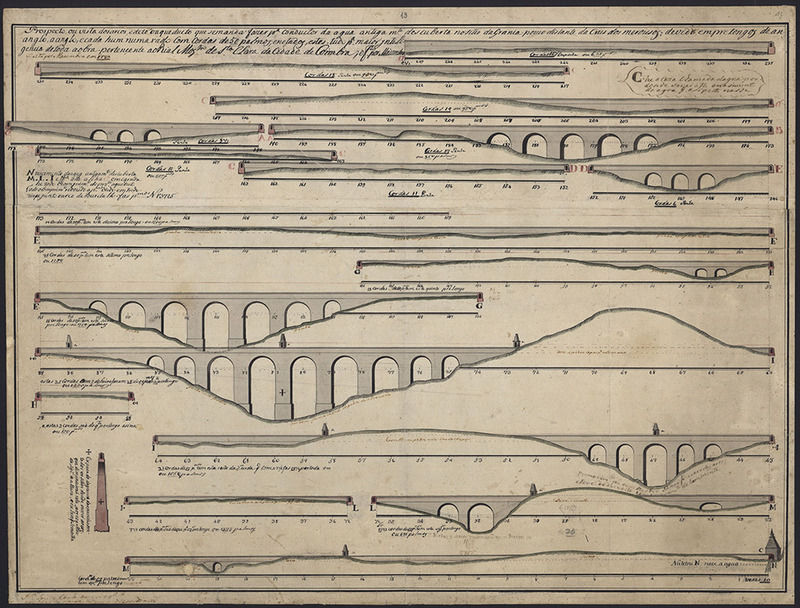 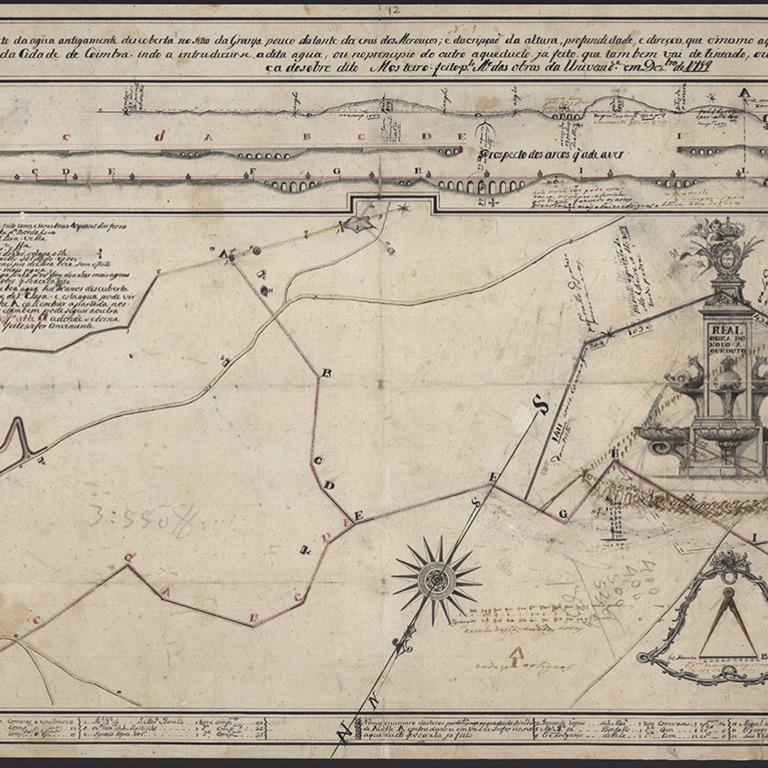 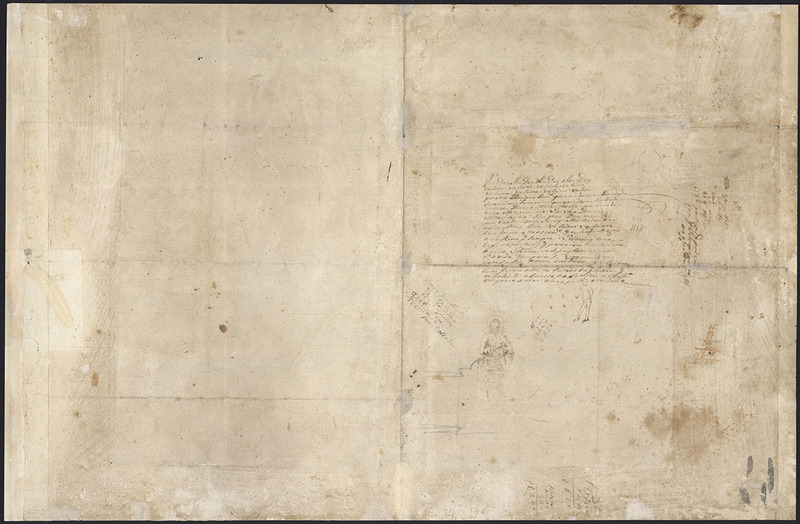 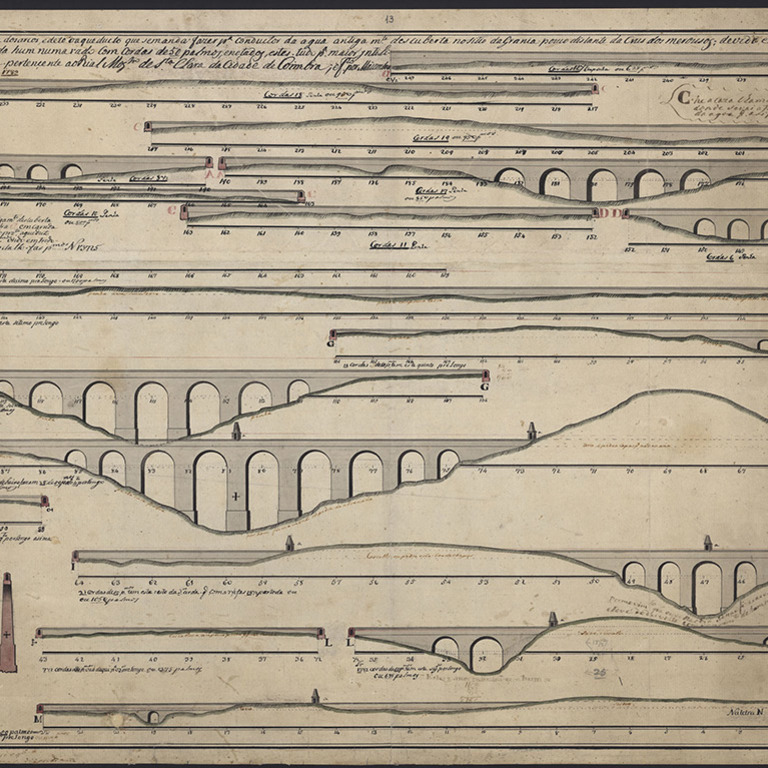 Two drawings dating from 1789 reveal the proposal of the course of the aqueduct and its main insertion profiles according to the topography. 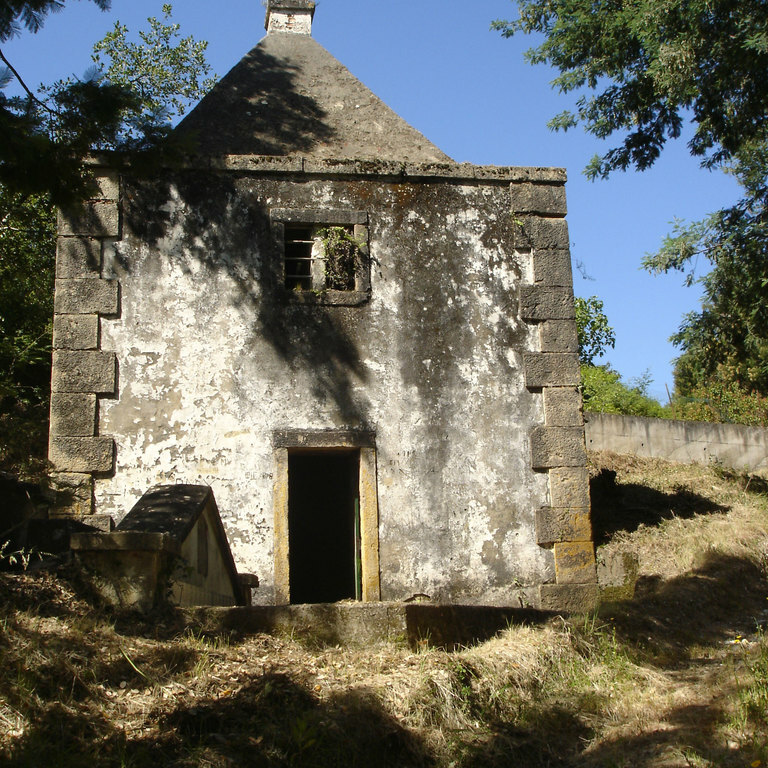 The work took place throughout the 1790s and early 1800s, and was later abandoned, the reasons for which are unknown - Lack of money? 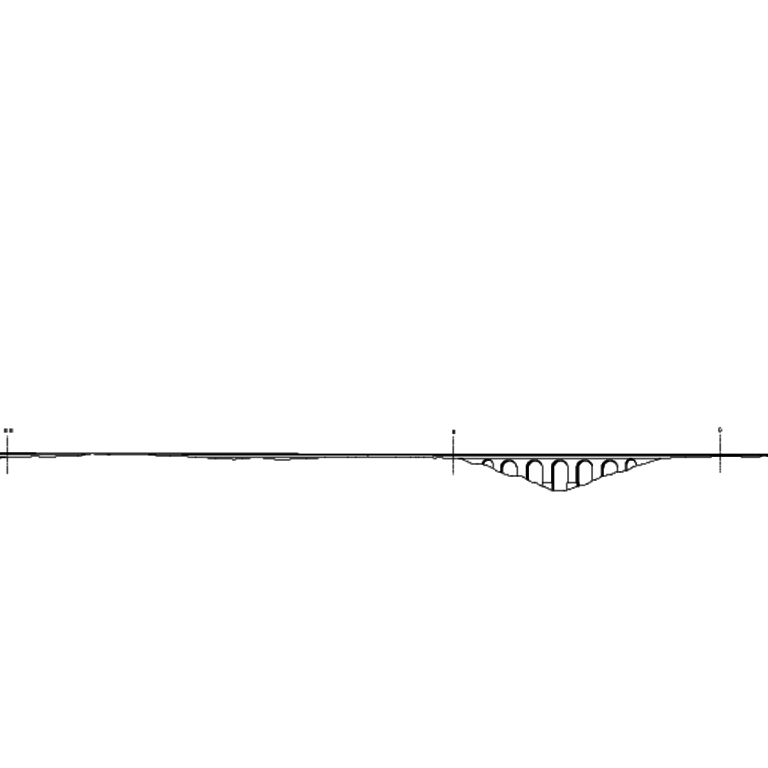 Technical problems? 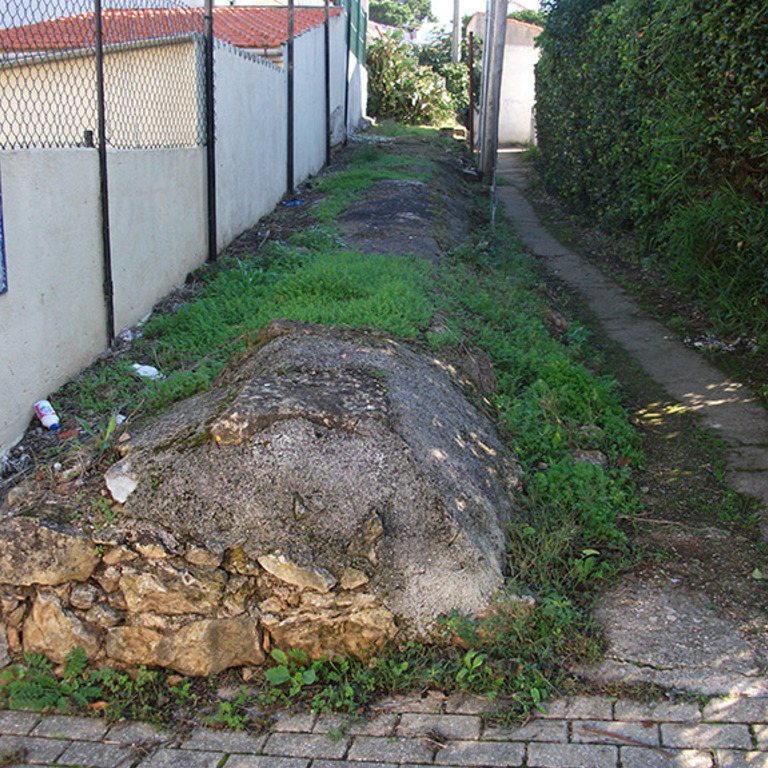 The French invasion? 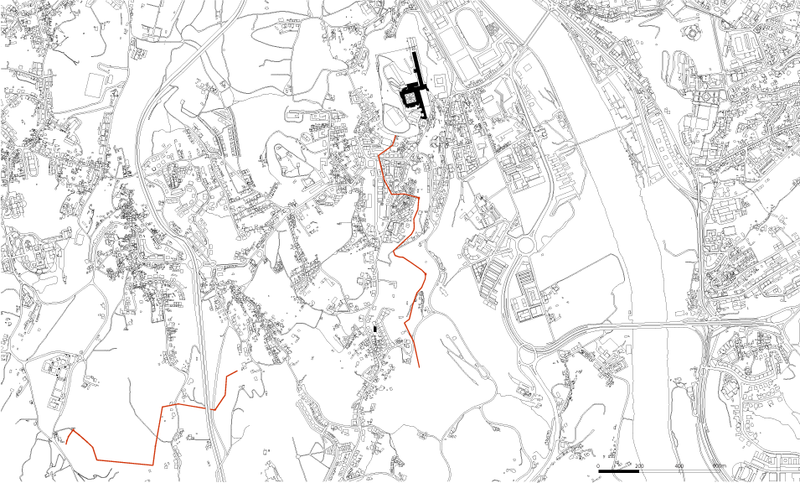 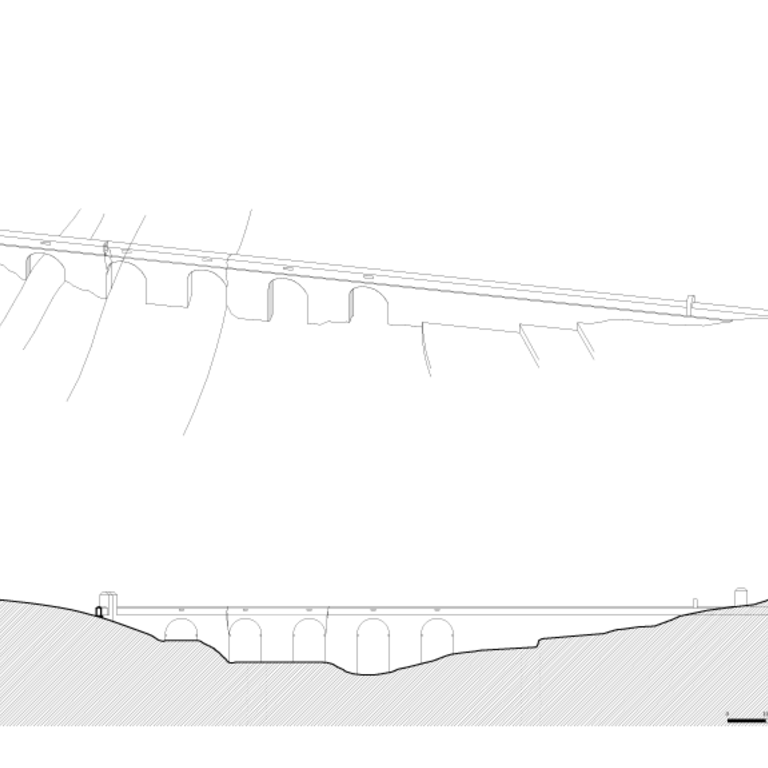 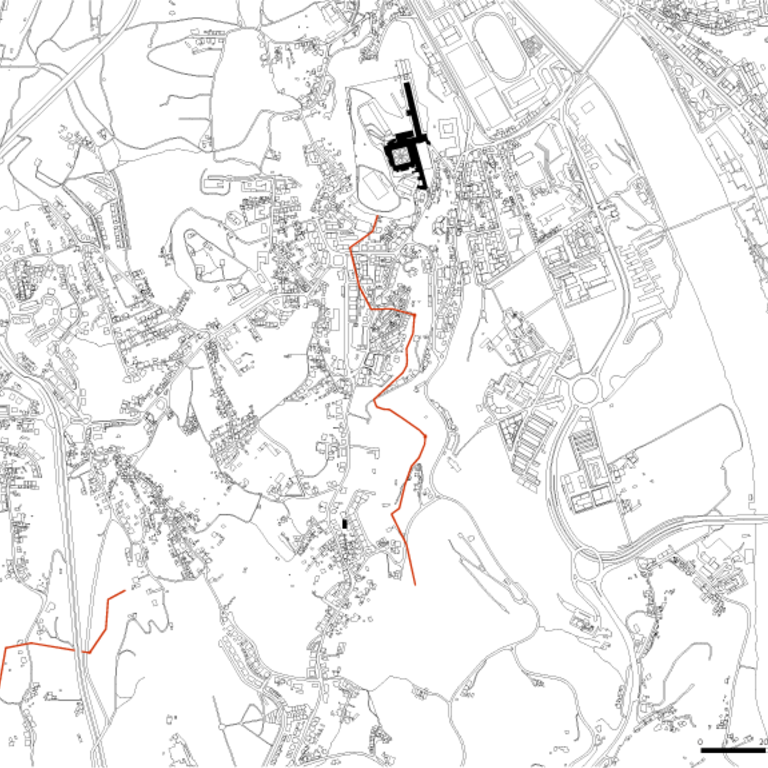 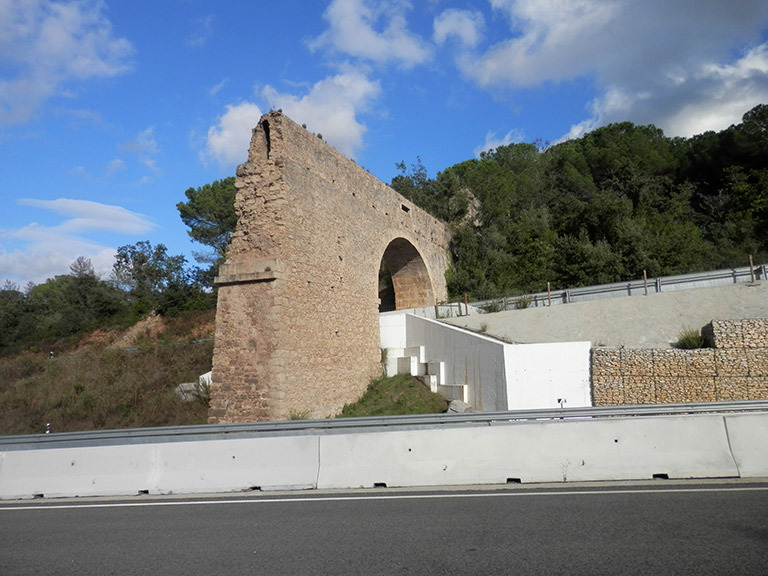 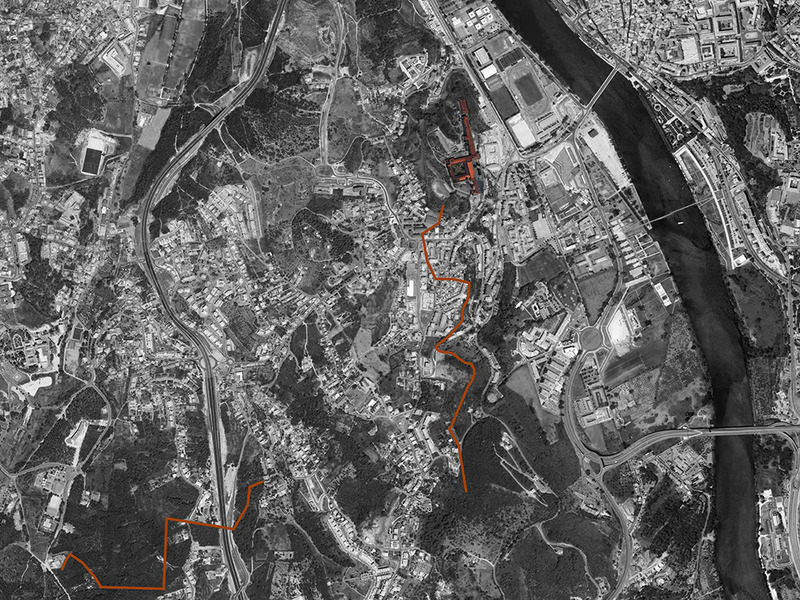 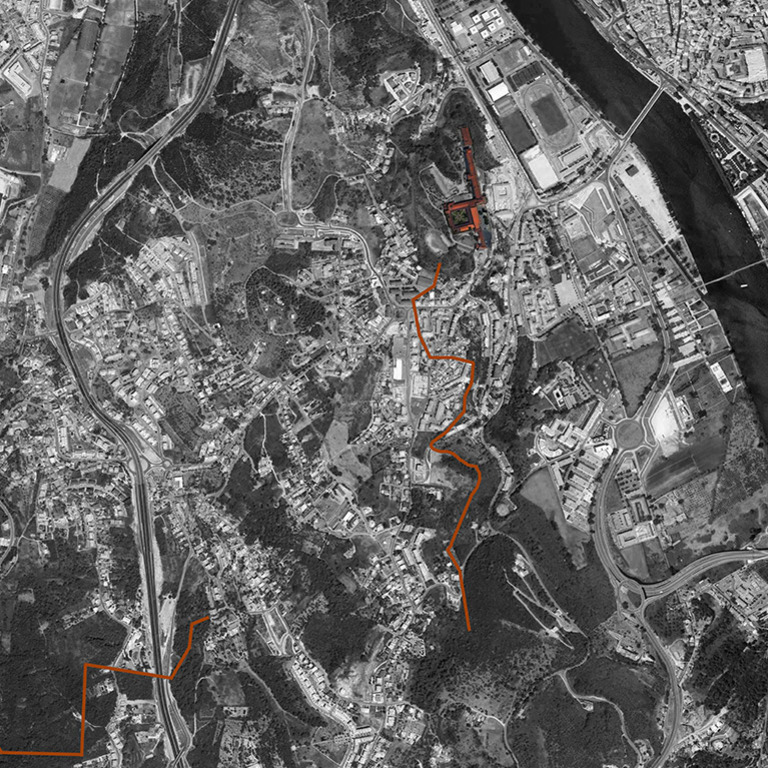 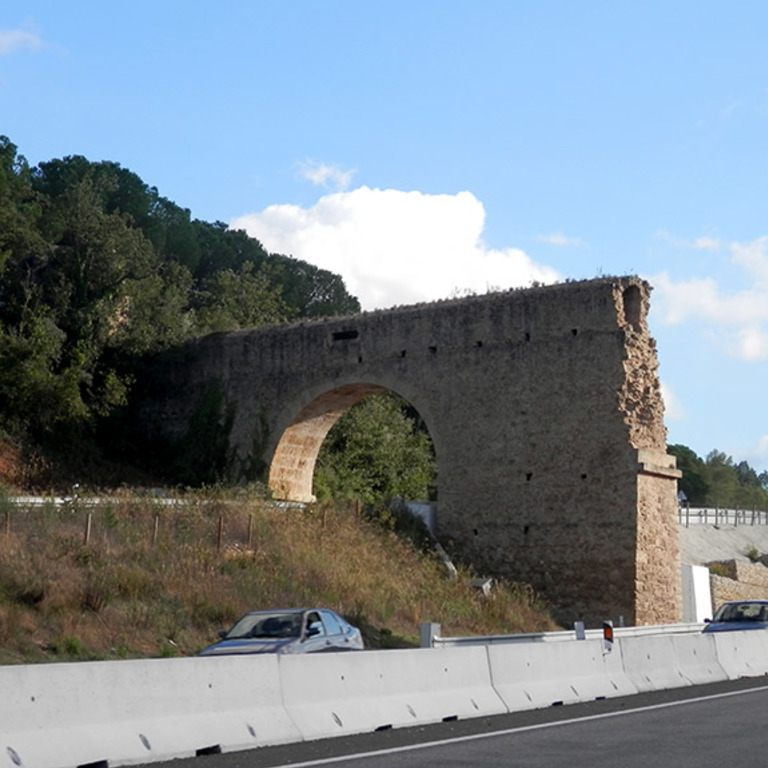 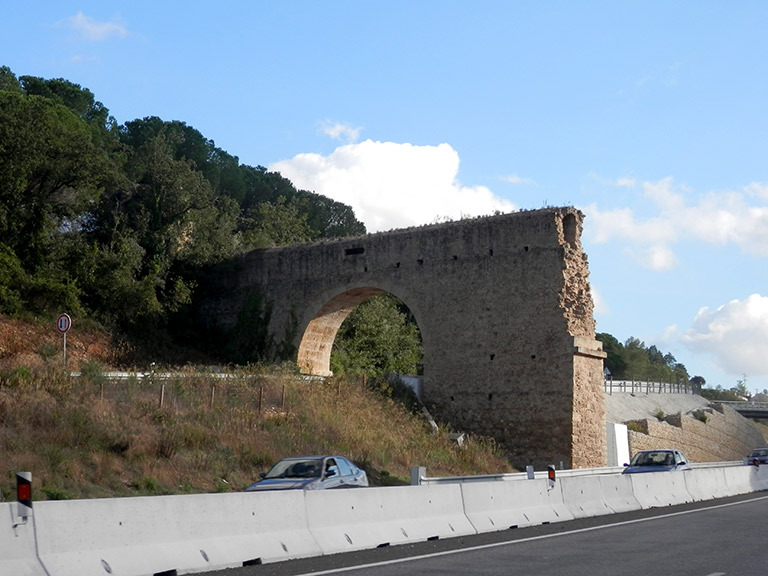 In fact, the new aqueduct only exists along its planned first half, from the source and until shortly after the valley where the IC2 passes today, a road infrastructure that interrupts the 18th century work. 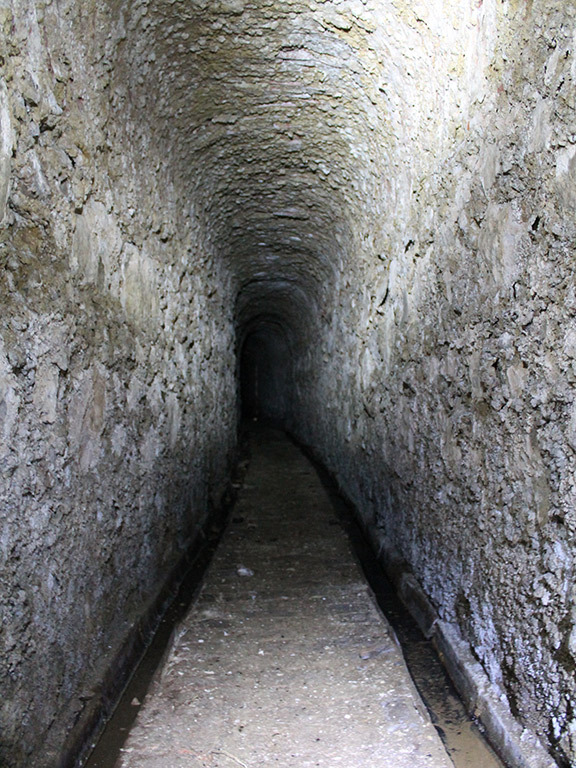 Water still flows abundantly in the aqueduct's initial section, particularly in the first visit house, studied and surveyed by the students. 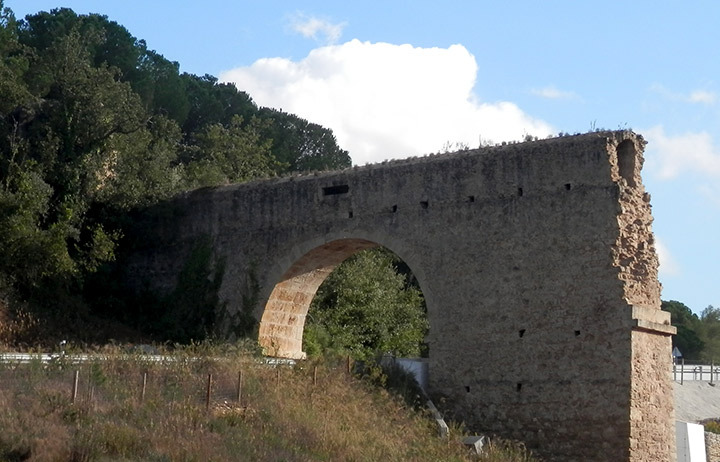 The students went through and visited the infrastructure, carried out surveys at the site - to the fountain, to the visiting boxes, to the aqueduct proper - to trace the course of the aqueduct and to make a relatively complete photographic record. 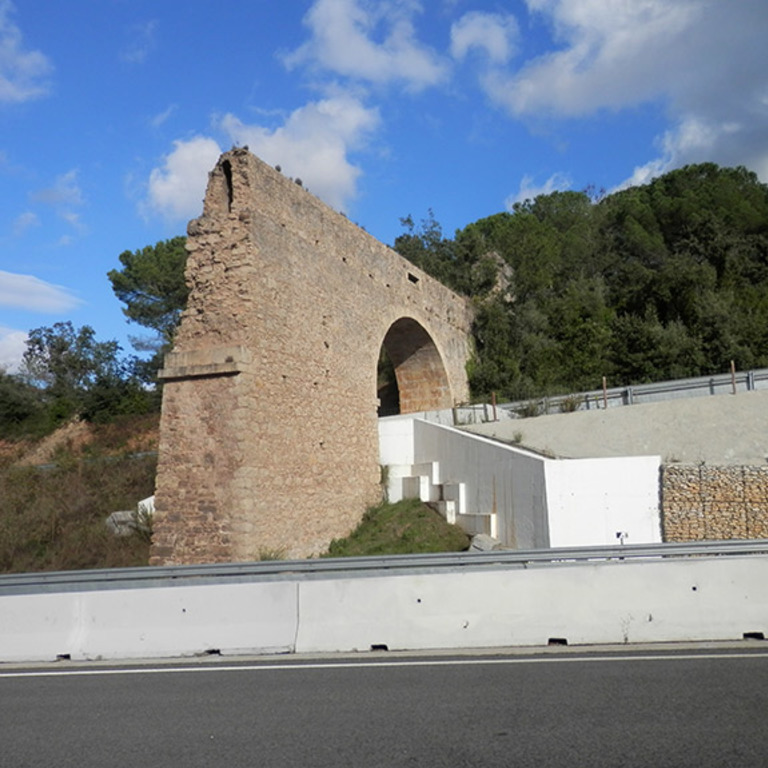 Unfortunately, it was not possible to visit part of the infrastructure still standing, namely a guest house on the oldest aqueduct, which is on private land. 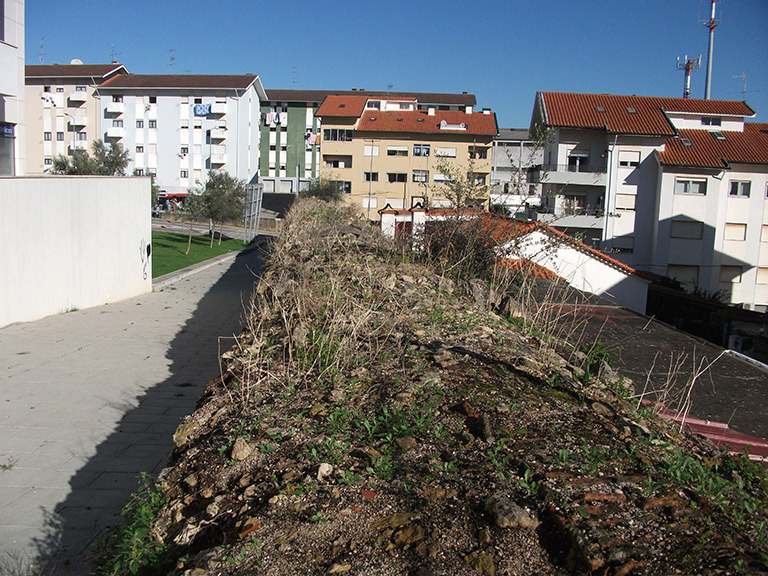 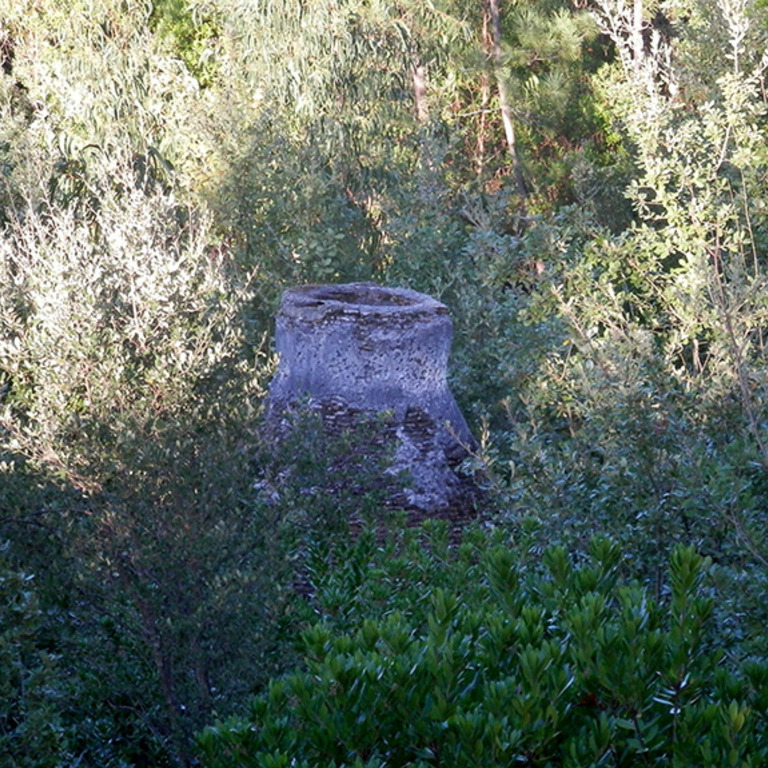 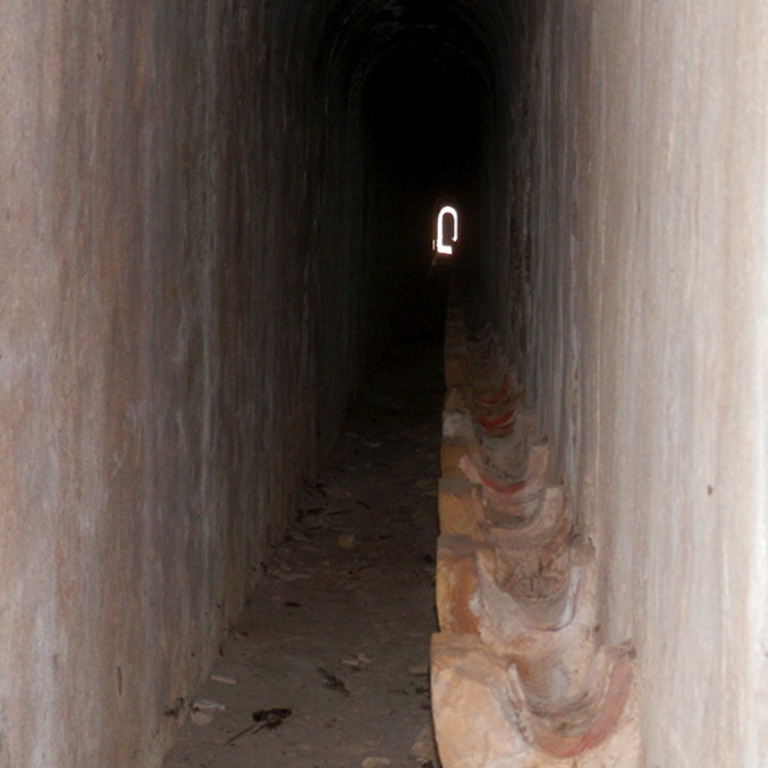 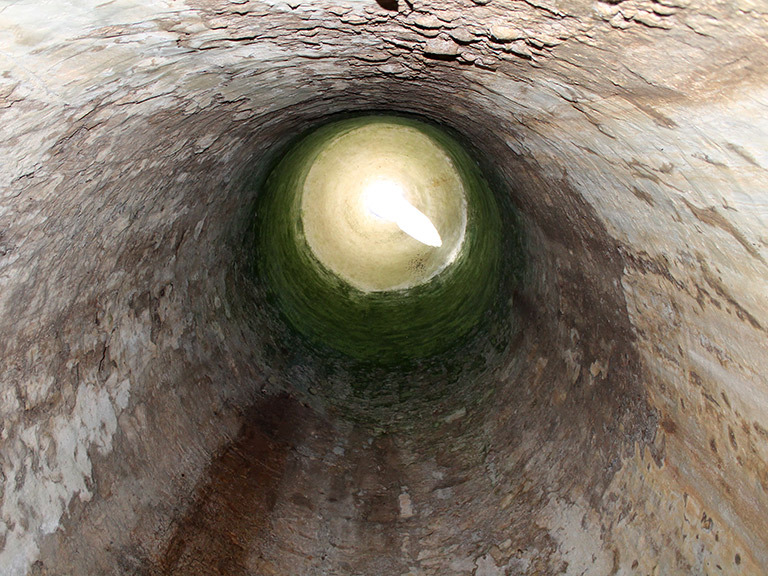 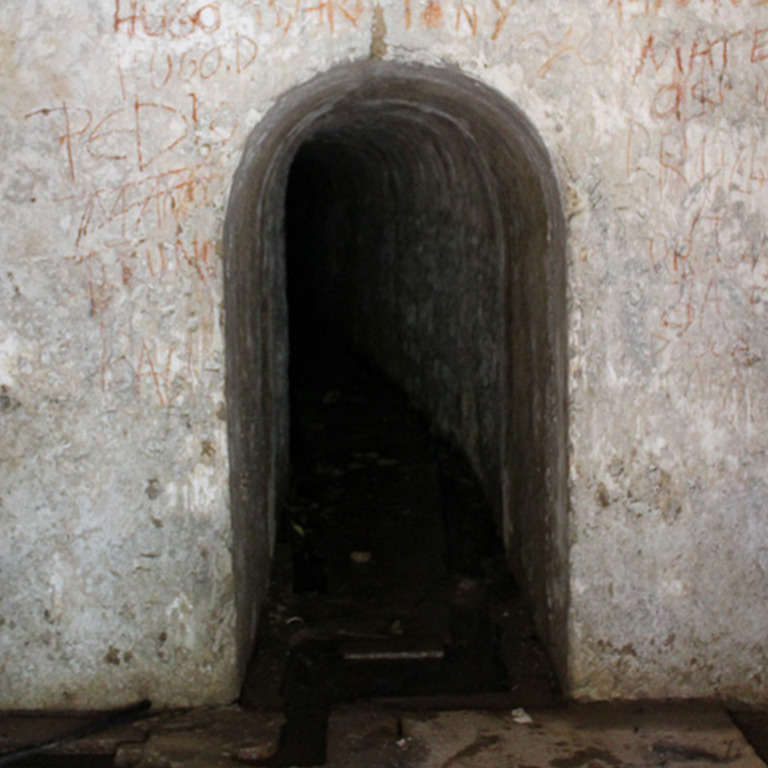 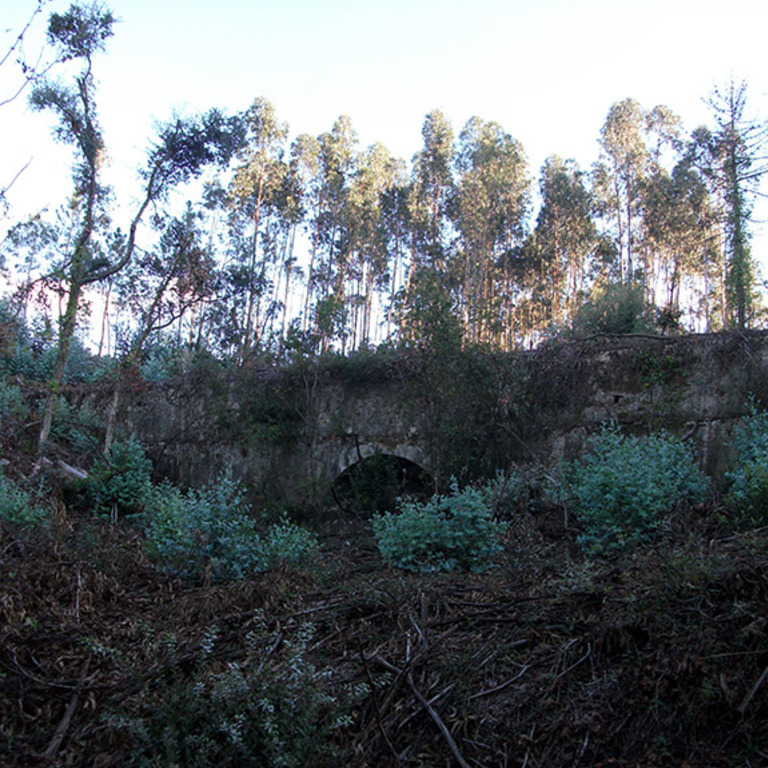 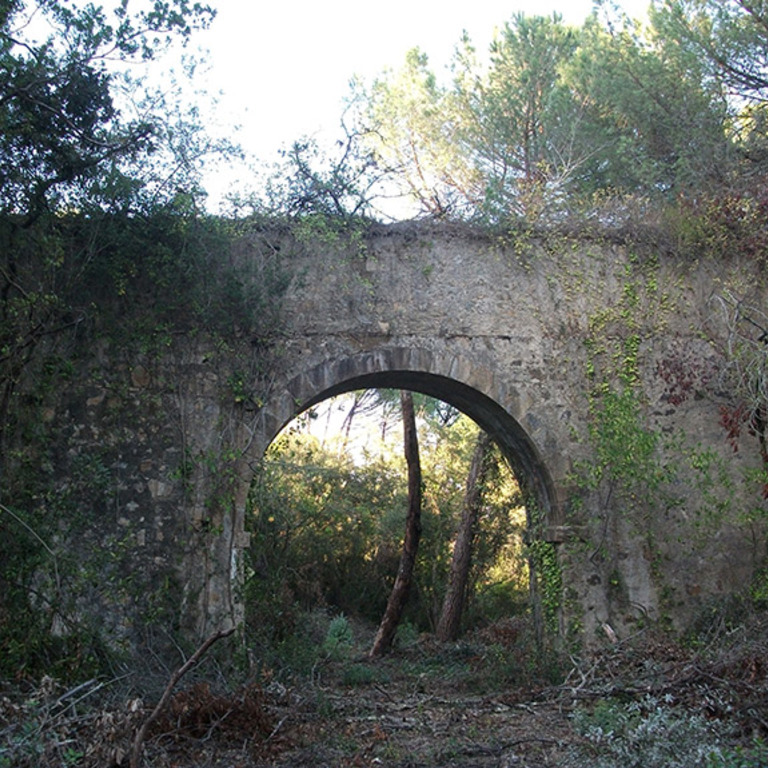 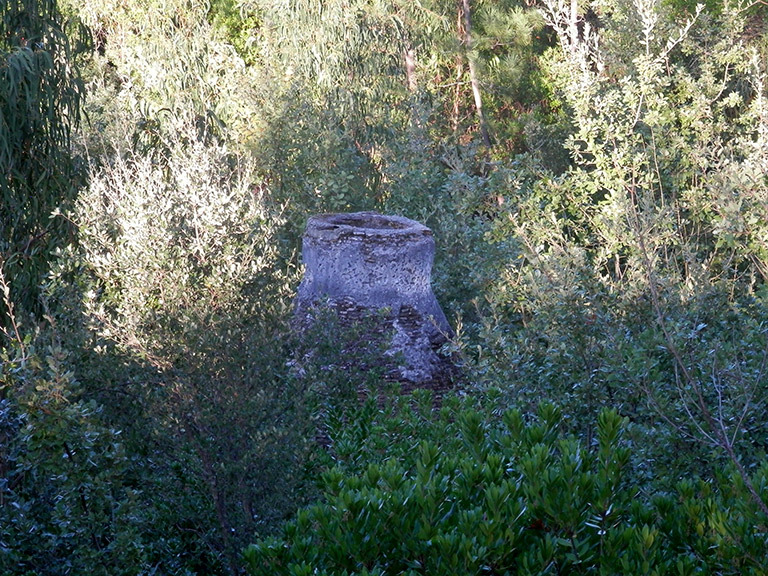 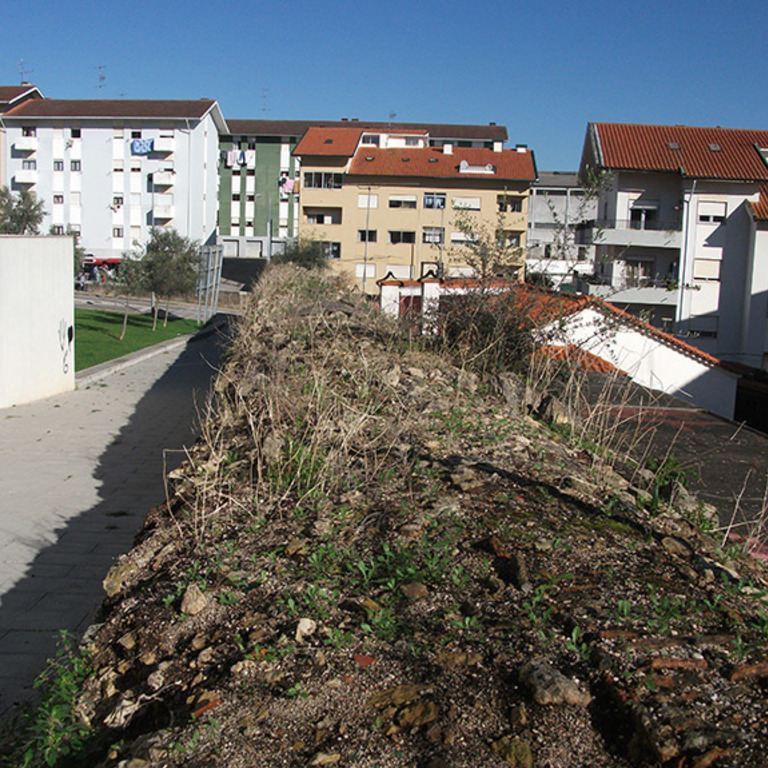 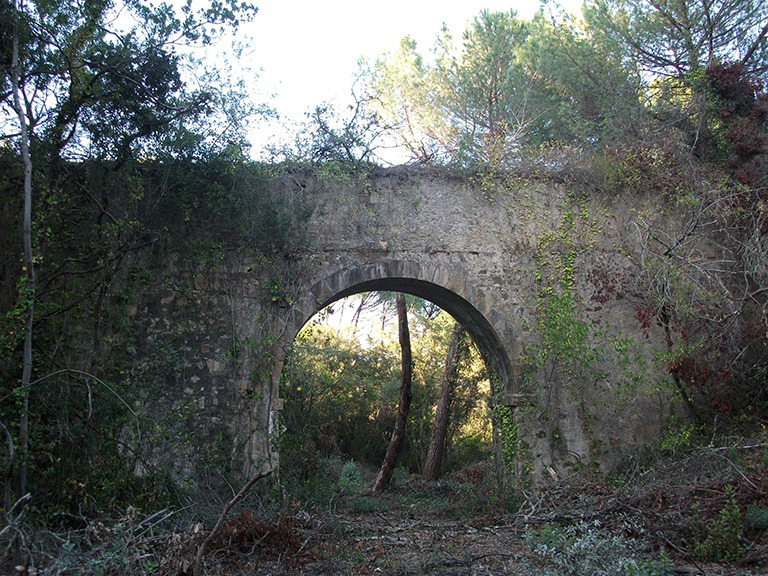 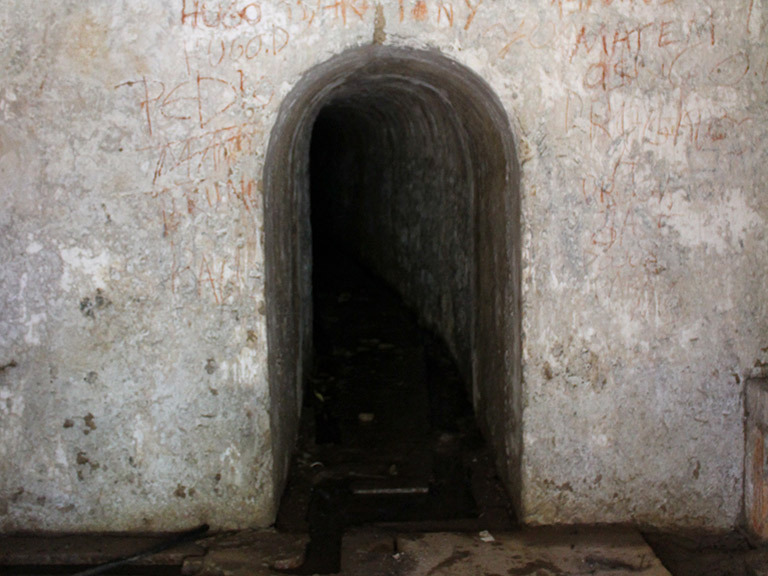 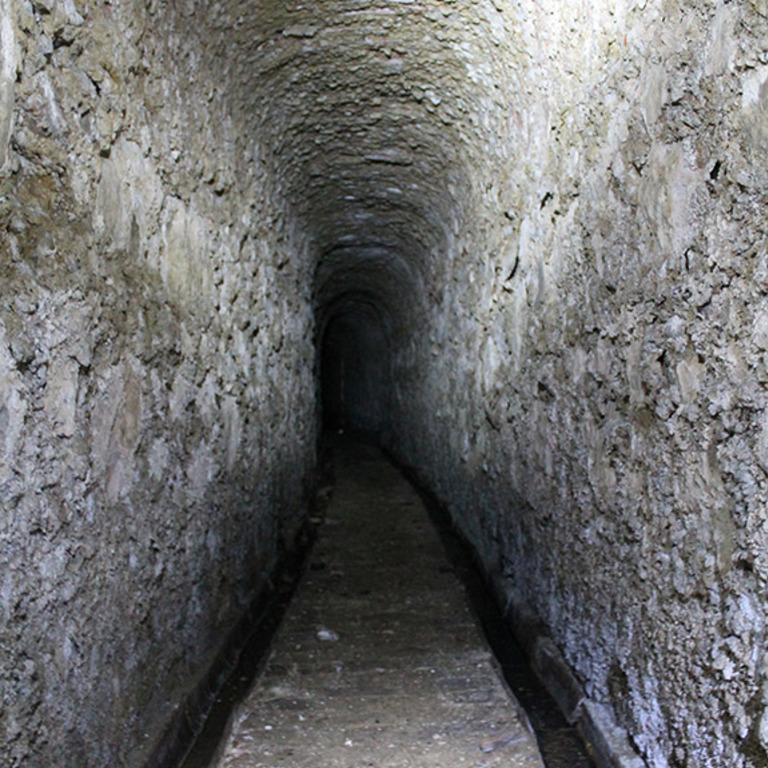 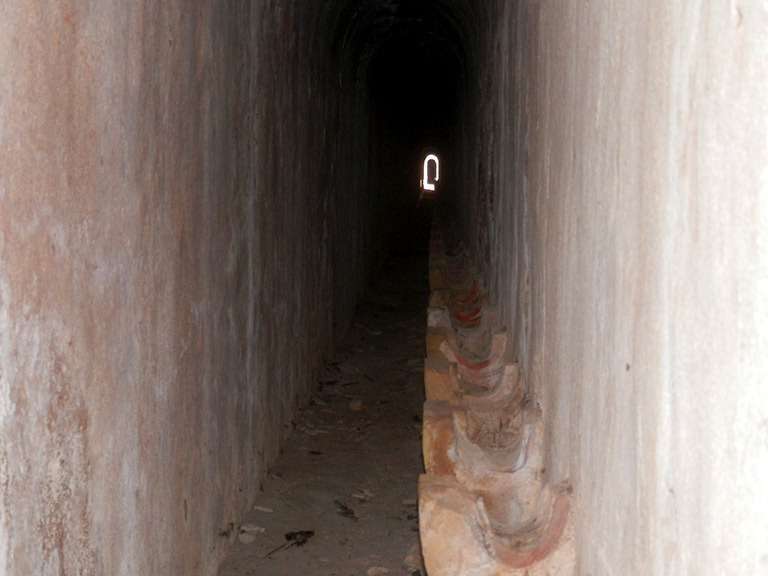 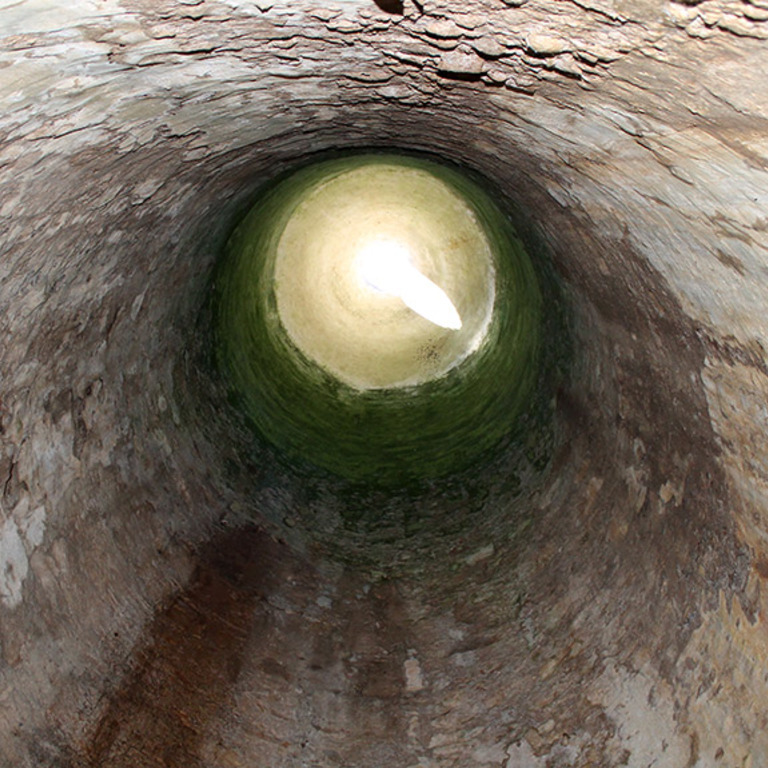 Although still existing, the aqueduct is abandoned, interrupted in several places (by the passage of several roads and even by the construction of a house upon a buried section) and in an advanced degree of degradation, which is urgent to counteract.